There’s a famous quote from Albert Einstein that David Reis often refers to: “We must be willing to give up what we are in order to become what we will be.” Nowhere is that sentiment more applicable than in healthcare, where leaders need to accept the fact that the same strategies have made organizations successful in the past, won’t necessarily yield the same results going forward. 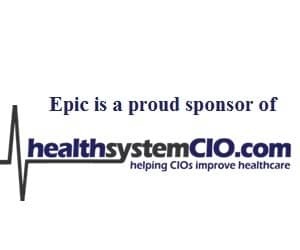 Recently, healthsystemCIO.com spoke with Reis about his plans as CIO at Hackensack Meridian Health, now the largest health system in New Jersey, and the approach he used when joining an organization that has seen a great deal of change. Reis also discusses his ultimate goal of providing IT solutions “that are interoperable, scalable, sustainable, and cost-effective,” why CIOs need to get away from the “vendor mindset” and into a “partner mindset,” his advice for aspiring health IT leaders, and the attributes he values most in team members. It goes back to the question of why we do the things we do in healthcare. It’s not a game where there’s a winner and a loser; it’s about putting the patient and our team members at the center, and collectively discussing and deciding on the best path forward. We have to think about innovation. We have to think about service. And we have to make sure there’s enough of a balance between the two so that we’re meeting the needs of the organization. You tend to focus less on individual technologies and more on the non-computer aspects of IT. At the same time, you can’t lose sight of that, because the things we’re doing now are so big that you have to maintain an eye on what’s happening at the technology layer, and on how that’s being adapted and accepted by patients and team members. Gamble: I want to talk about your leadership philosophy. A little while back, you shared an article on LinkedIn that examined the ‘people problems’ that can hold teams back. One of those problems is when either teams or individuals become so focused on winning that they don’t seek input. What are your thoughts on this? Is it something you’ve ever experienced as a leader? Reis: I have, but I’m happy to say I haven’t encountered it at this organization. Most of us have seen this at one time or another. I think it goes back to the question of why we do the things we do in healthcare. It’s not a game where there’s a winner and a loser; it’s about putting the patient and our team members at the center, and collectively discussing and deciding on the best path forward. Again, what I’ve seen here is an organization focused on collecting input and making the best decisions for our patients and team members, and I want to make sure that I do my part to ensure that continues to be so. Gamble: It’s interesting because as a leader, you want to encourage teamwork and you want people on the same page, but you also want people to thrive as individuals. Is that challenging at times? Reis: It is. From an IT standpoint, many people have built really successful careers based on certain technologies, and so it becomes part of their identity. As we bring together very successful IT team members to build something great, I’m reminded of a quote from Einstein that says, ‘we must be willing to give up what we are in order to become what we will be.’ It’s something I reflect on during times of change. We know what has helped get us to this point, but will that also make us successful in the future? If we’re talking about technology, the answer is probably not. Of course, we can learn from what we’ve done in the past, but doing the same thing isn’t necessarily going to lead to future success. The Kellogg Insight articles I’ve shared reflect that philosophy, which focuses on the need for continuous innovation and the relentless pursuit of the next great idea. Gamble: When it comes to creating high-performing teams, what are some of the key attributes you look for in individuals? Across all industries, the individuals who really thrive are those who are able to free themselves from thinking of technology, and instead focus on outcomes, which then gets you to the best technology. I look for that as well. Another important concept is servant leadership, which means we’re here to serve, not to be served. As an IT organization, we have both an innovative function and a service delivery function, and those must be kept in balance. It doesn’t have to be 50/50, but we can’t lose sight of one in serving the other. We have to think about innovation. We have to think about service. And we have to make sure there’s enough of a balance between the two so that we’re meeting the needs of the organization. Those are the initial leadership traits I look for in a technologist. In addition to that, there’s the people side, and that’s where you need to have a servant leadership mindset. It only takes a quick discussion to find out whether servant leadership is a core part of an individual’s philosophy. Gamble: Very interesting. You mentioned that you learned a lot about leadership during your time with the Marine Corps. And you’ve also held roles in different industries and different types of organizations. How has that varied background influenced your style? Reis: It has definitely helped me to become well-rounded. I started my career in retail banking before Internet banking existed. When I left 10 years later, we were doing more transactions in an hour with our internet banking teller than we were in one year with human tellers. It was a sea-change in the way customers interacted with us. After that, I transitioned into higher education, as a student working on my PhD, as a faculty member with Drexel, and as an administrator at Thomas Jefferson University. I saw the same digitization in higher education that I had seen in retail banking. I’ve seen those same things unfold for a third time in healthcare during the past 15 years. It’s not happening as quickly as it did in banking and in higher Ed, but it’s definitely happening, and we’re definitely further along that journey now than we were five years ago. I think we’re really digitizing the delivery of healthcare now, and with benchmarks like HIMSS Stage 7, we have a good way to judge an organization’s journey along the digitization process. And so for me, having those experiences in other industries has really helped in my current role. From a people and leadership standpoint, the Marine Corps rewired me. My specialty was Infantry, and within that, Arctic and Mountain Warfare. You really learn a lot about leadership when you’re in situations like that, particularly at a young age. And that’s something I’ve taken with me throughout my career. Gamble: I can imagine. 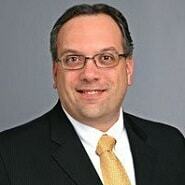 Now, prior to your current position, you were with Lahey Health, first as CISO, then CIO. What were your thoughts when you took on the CIO role? Reis: The way I see it, the CIO’s role is to bridge the gap between the clinical enterprise and business enterprise, with the delivery of IT. As a leader, you tend to focus less on individual technologies and more on the non-computer, non-software aspects of IT. At the same time, you can’t lose sight of that, because the things we’re doing now are so big that you have to maintain an eye on what’s happening at the technology layer and on how that’s being adapted and accepted by patients and team members. Gamble: All while keeping an eye on what’s coming down the pike. Reis: Exactly. You always have to look to the future. You have to bring a certain velocity and energy to the conversation, because the change is relentless and the pace is increasing. What was innovative six months ago is standard fare today, what was innovative 18 months ago is likely outdated today. And so you have to have a constant curiosity — that’s something you don’t necessarily understand until you’re in the role. And so for aspiring CIOs, my advice is to have constant energy, enthusiasm, and optimism, and the ability to drive — and adapt to — change. Gamble: That’s great advice. Well, I want to thank you so much for your time. I’ve enjoyed our discussion, and I hope we’ll have a chance to meet sometime in the future. Reis: That would be great. Thank you, Kate.